Lots of little girls love Barbie, and lots of little girls love pink. So when it comes to making a gift for a little girl who loves both pink and Barbie I couldn’t resist breaking out some Liberty Tana Lawn charm squares and pieceing together a quilt and pillow set. 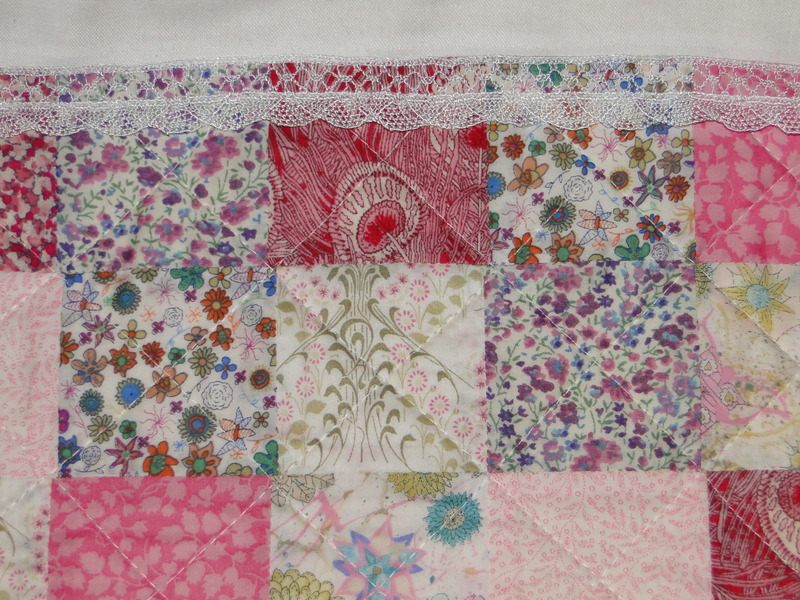 For the quilt I used 2.5″ squares in a 6×5 patchwork and added a strip of plain cream along the top of the quilt. A strip of lace seperated the cream strip from the patchwork below. For the back I choose a pretty heart print fabric and beacuse I felt a binding would detract from the lightness of the quilt I simply made my quilt sandwich with the fabric right sides together, batting on the bottom and then stitched most of the way around before turning inside out, slip stitching closed and then quilting in diagonals across the squares. 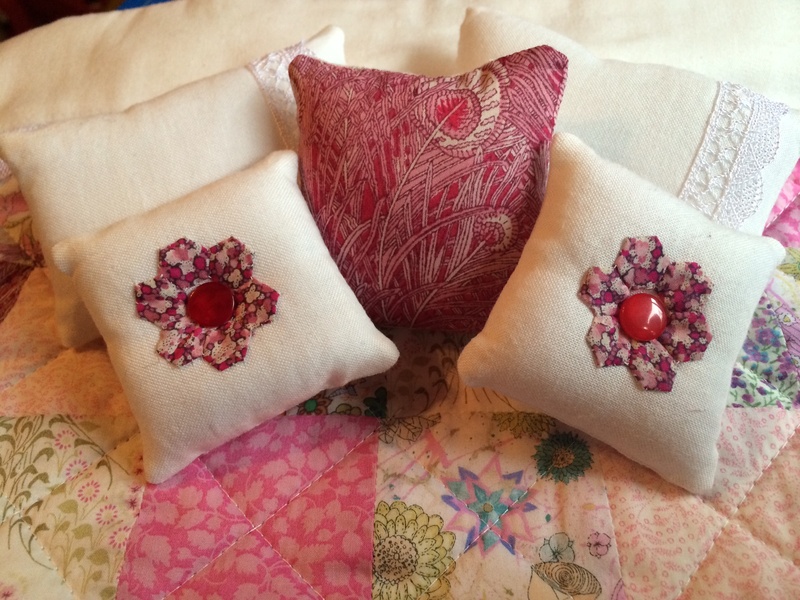 I made three different types of pillow. 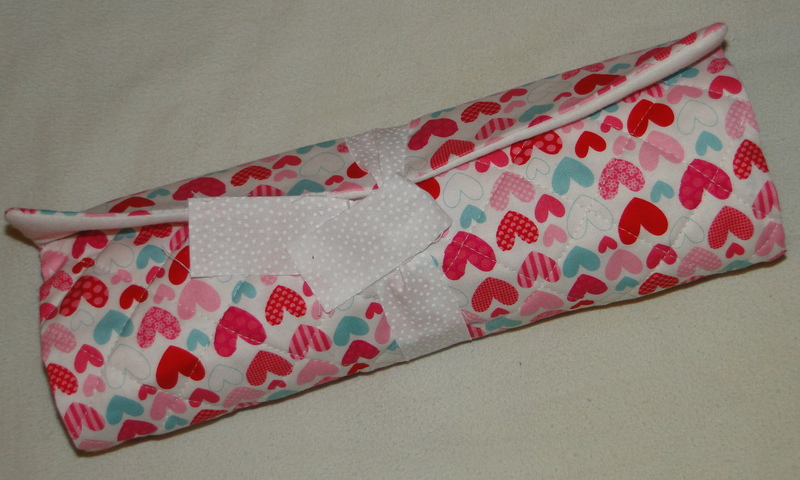 One pair were rectangular and simply made in cream with a lace stripe matching that used on the quilt. The second pair were square and also made in cream, but this time I added a flower in quarter inch EPP hexies on the front with a button as it’s centre. 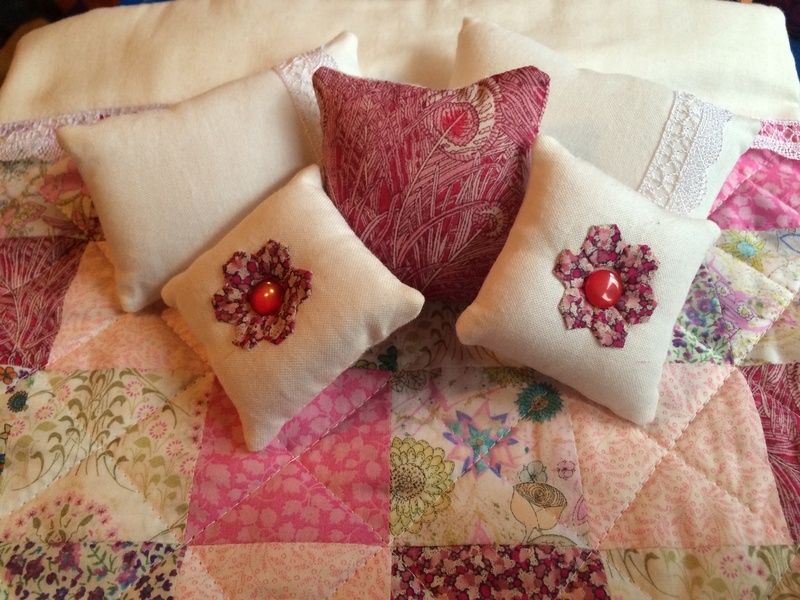 The final cushion was made in pink Hera Liberty as I had just enough left over from the quilt. I must admit that I am very much in love with the finished result and wouild love to make a scaled up set for myself although I think that much of what I love about this set is due to it’s small size and how well the fabrics work together on this scale. These are adorable Paula, I can see why you would like a set of your own! I agree totally that the fabrics work so well on that scale. The set is just gorgeous and I wonder if would be pretty full size too. Thanks for sharing, I especially like the pillows. 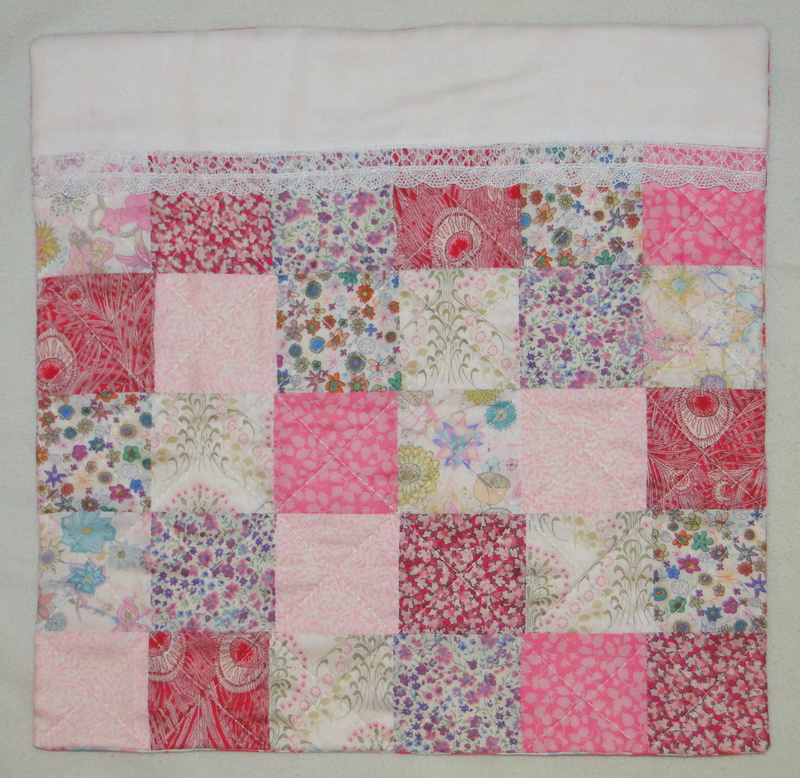 What a cute little pink quilt. Reminds me of one my mother made back in the 70’s for my dolls.